This is one of my favourite poems. 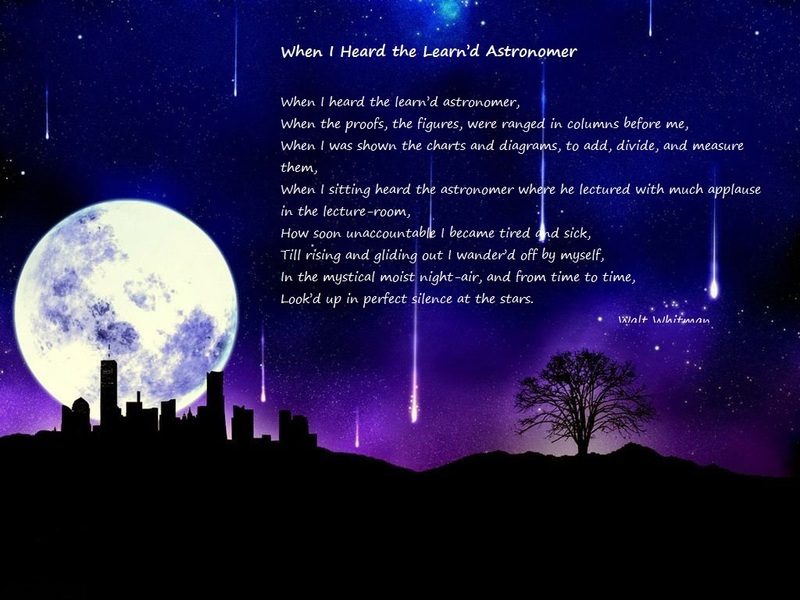 It's "When I heard the learn'd astronomer" by Walt Whitman. I really like the idea of just enjoying the beauty of nature instead of trying to explain every single aspect of it. Albert I love Walt Whitman. I just heard this one in a tv show and really liked it's meaning.